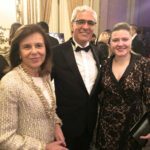 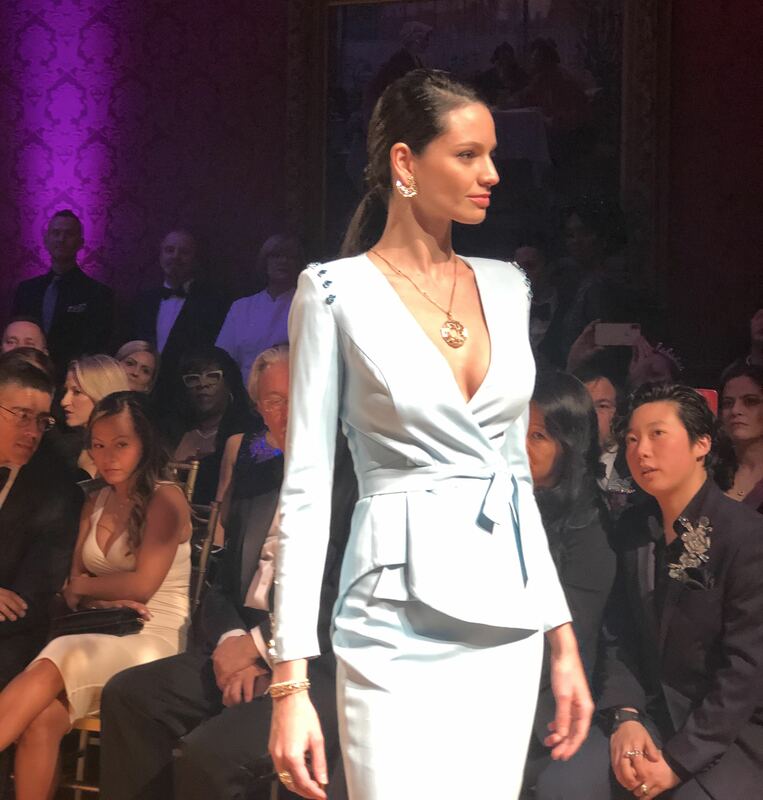 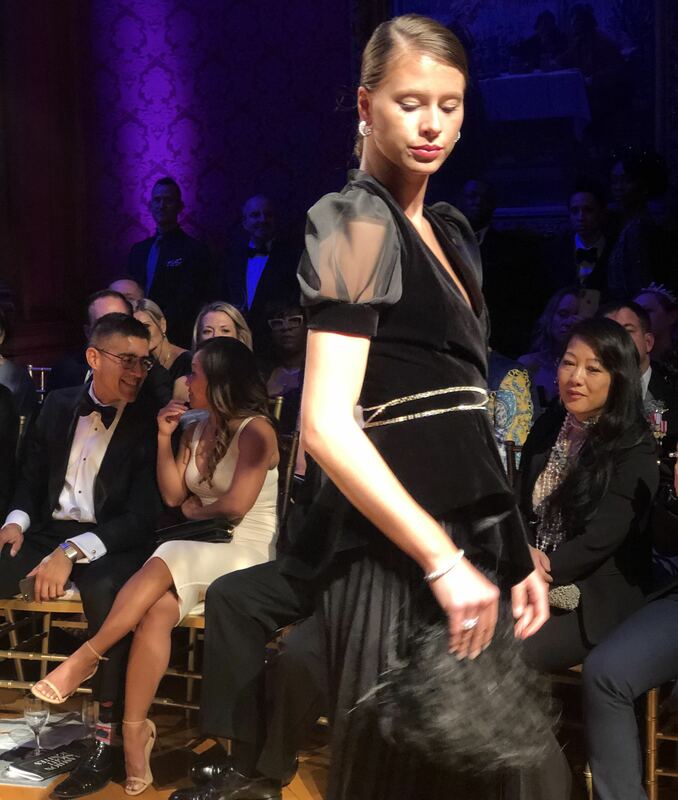 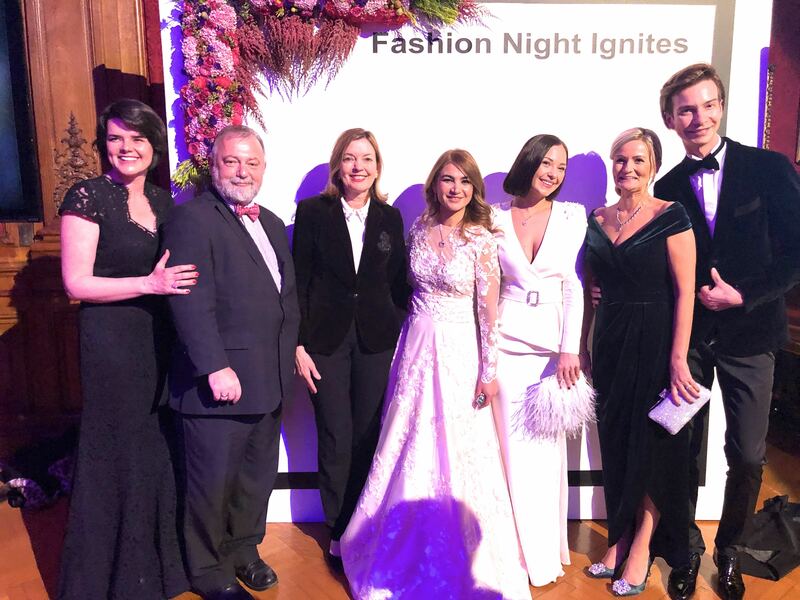 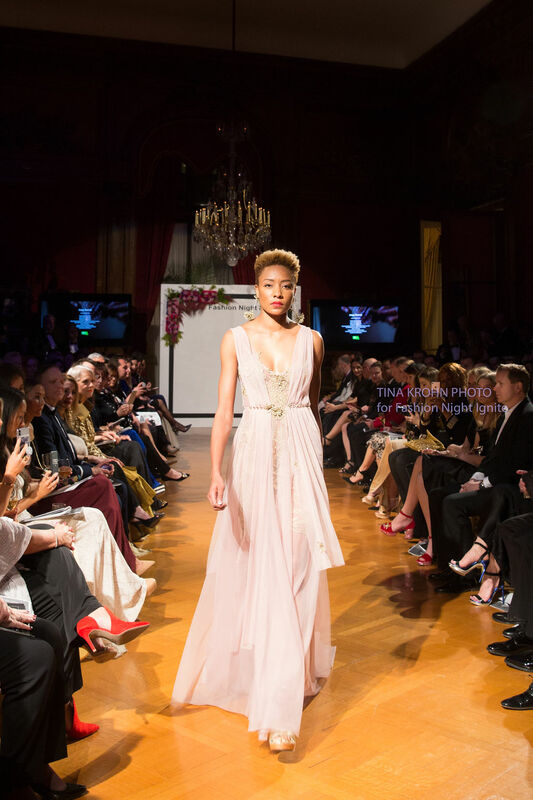 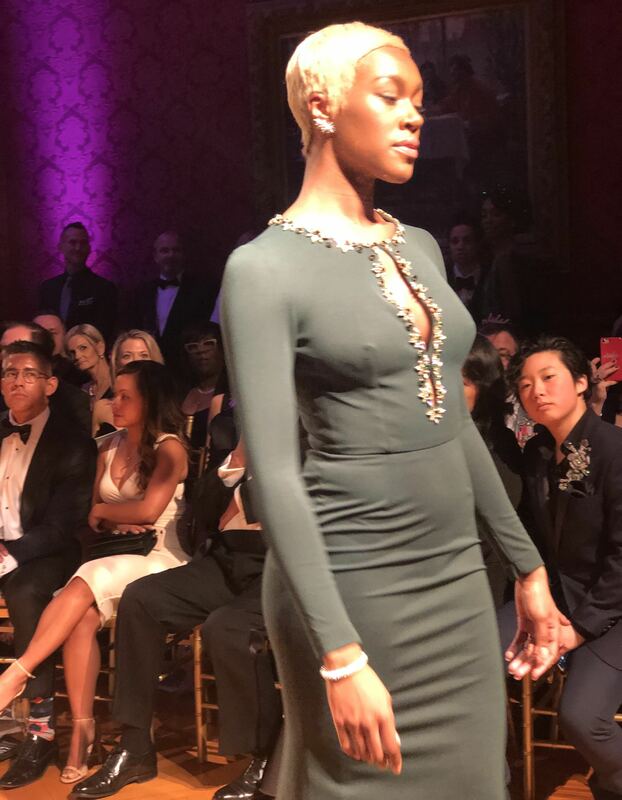 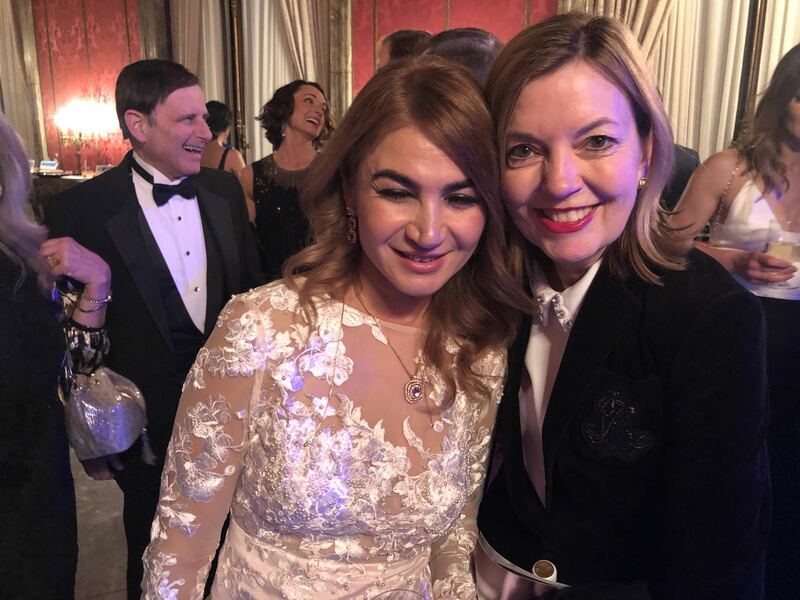 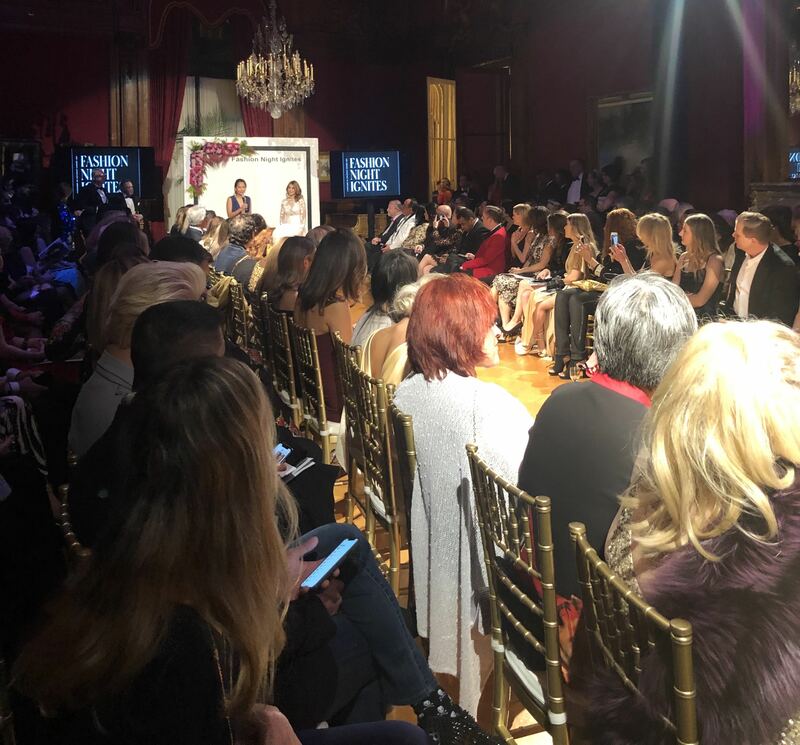 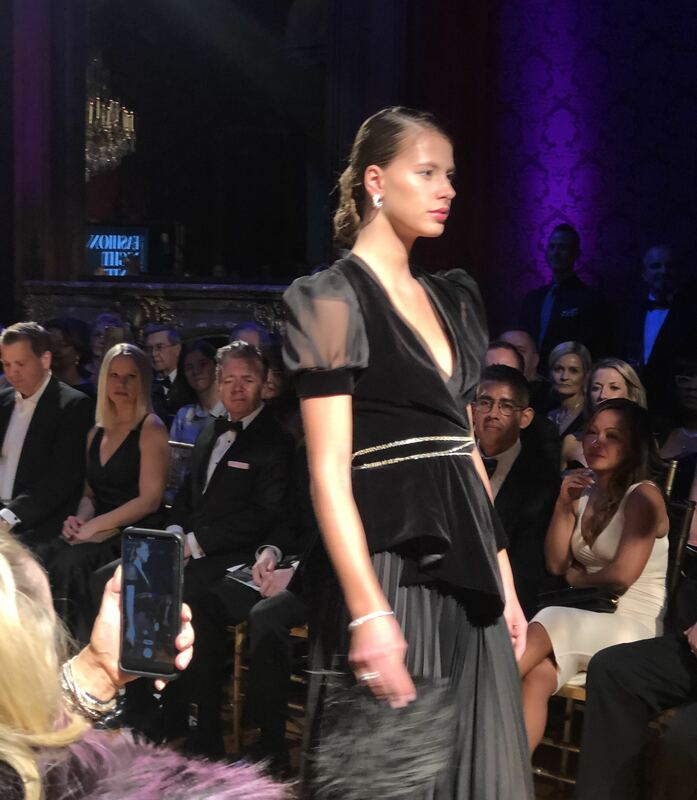 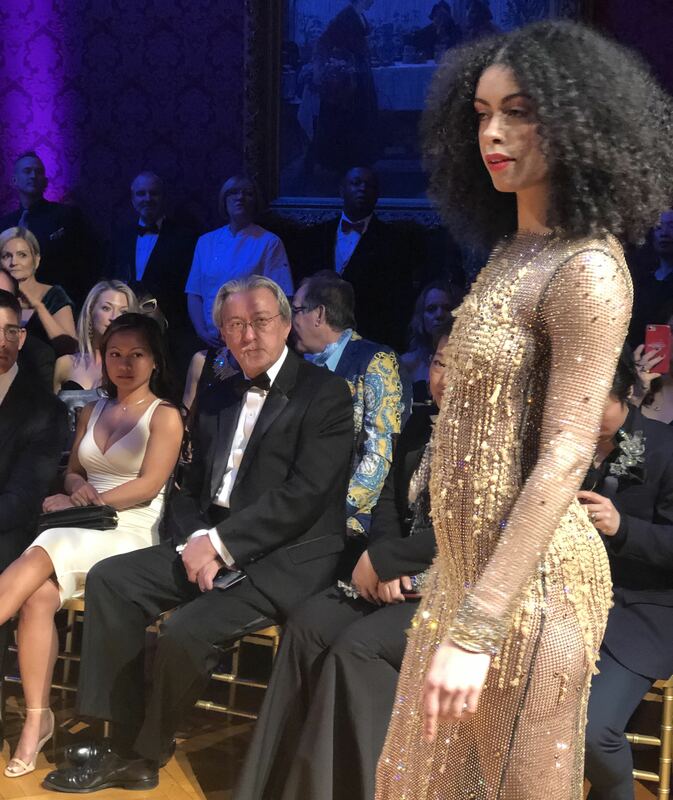 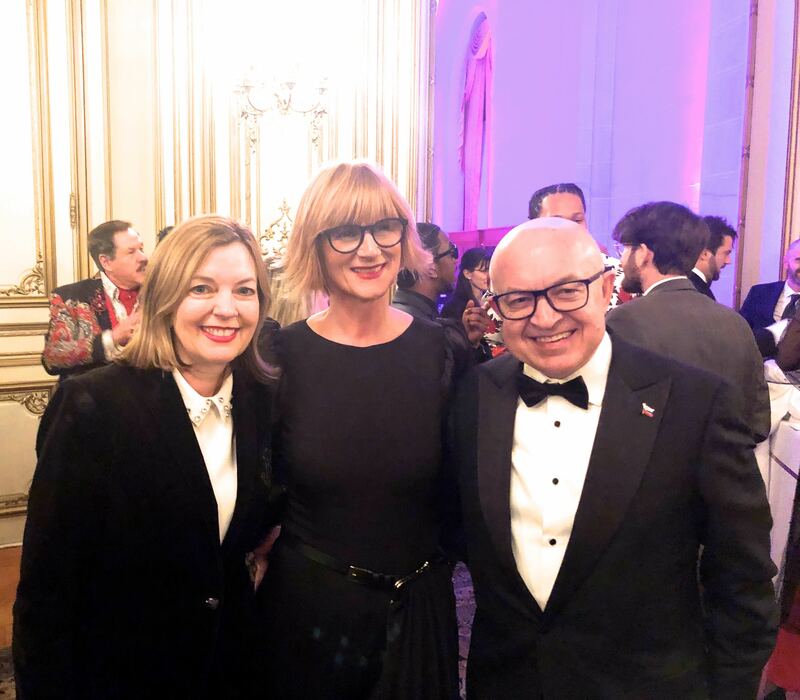 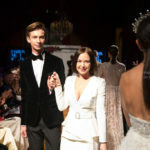 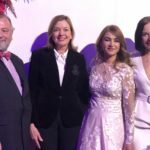 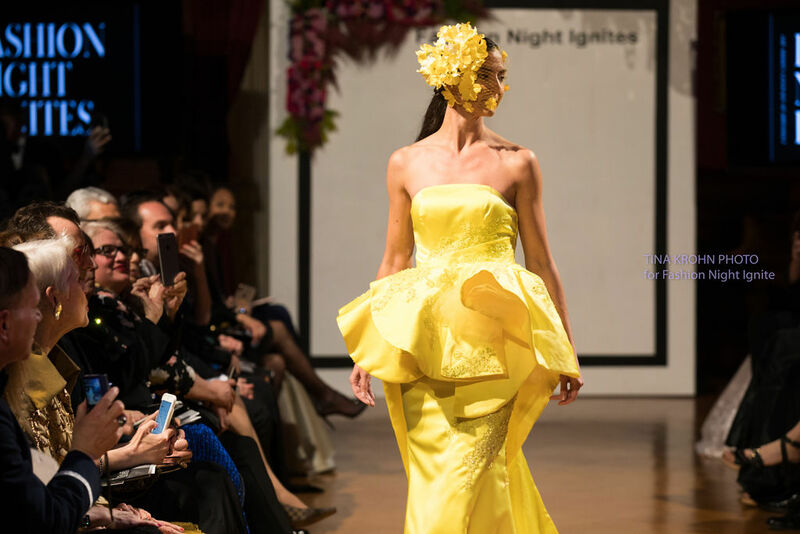 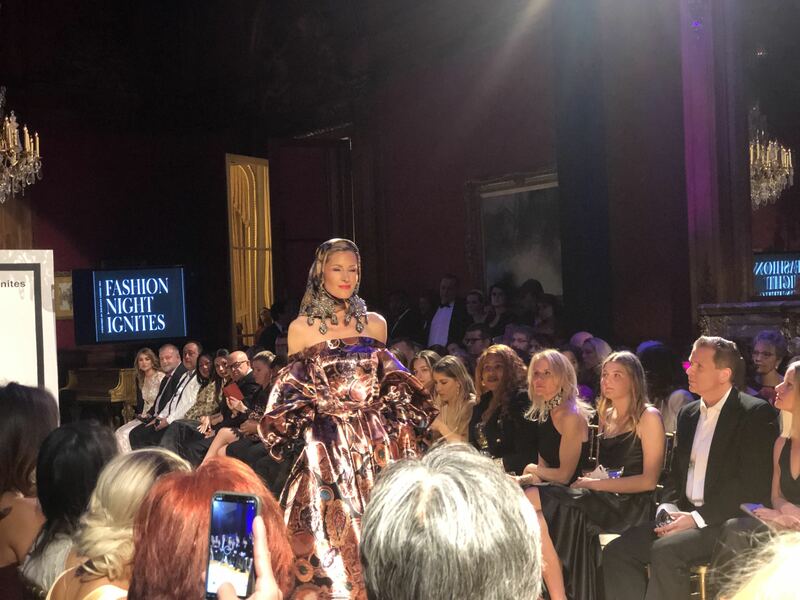 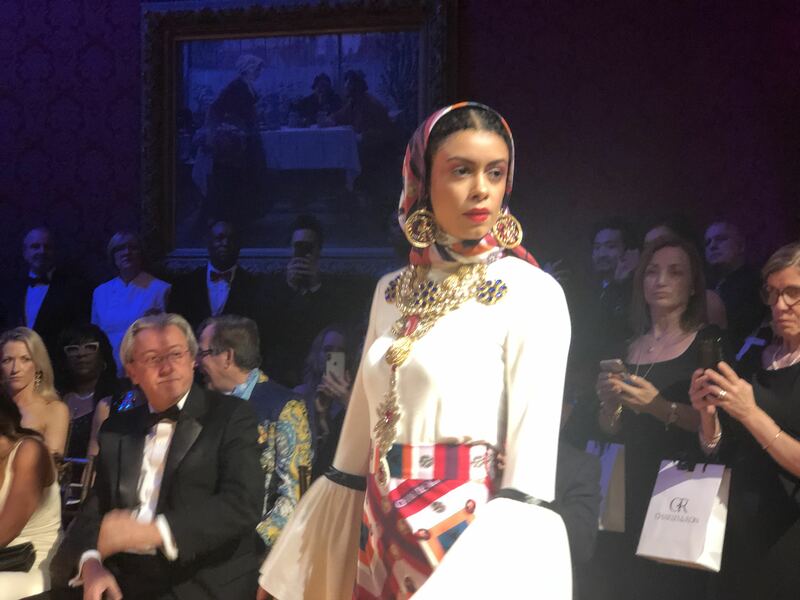 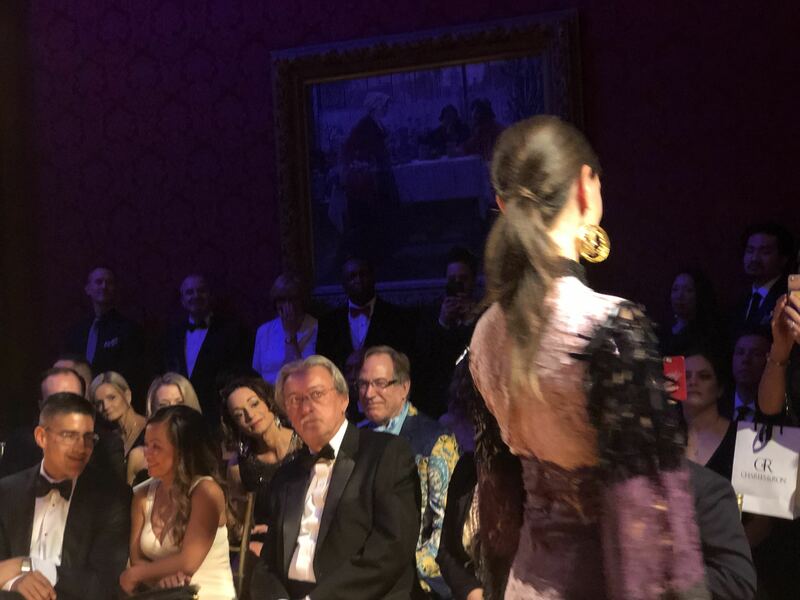 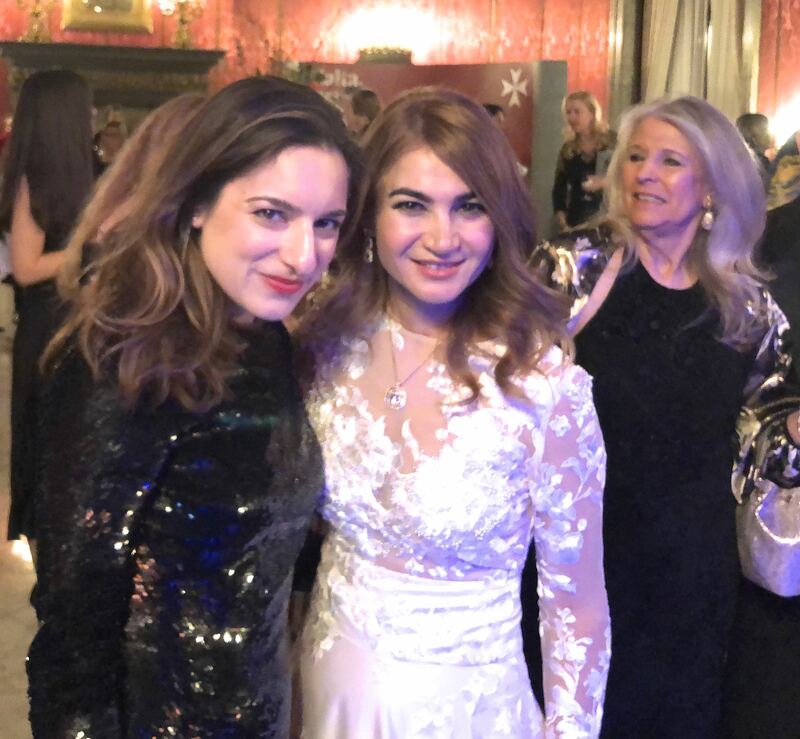 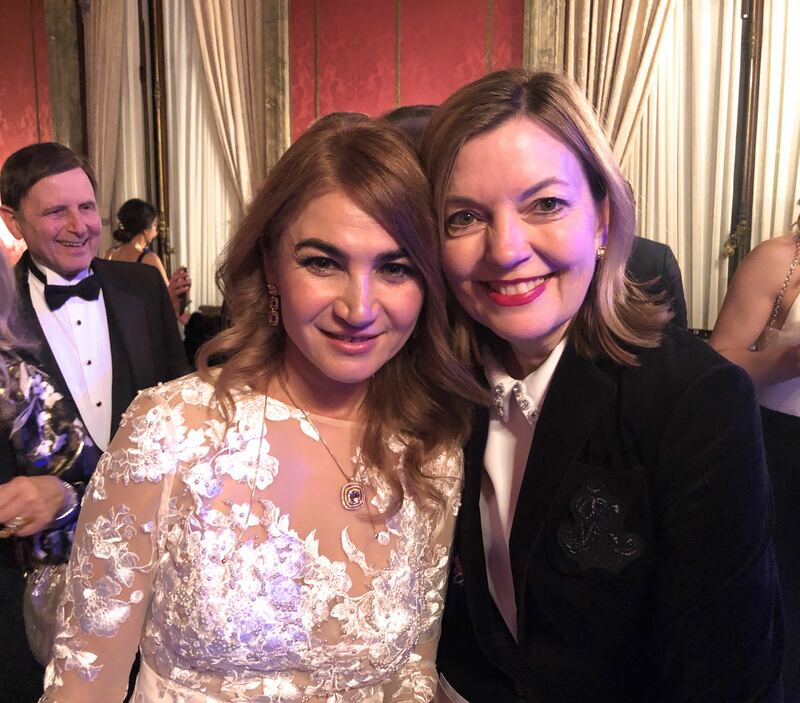 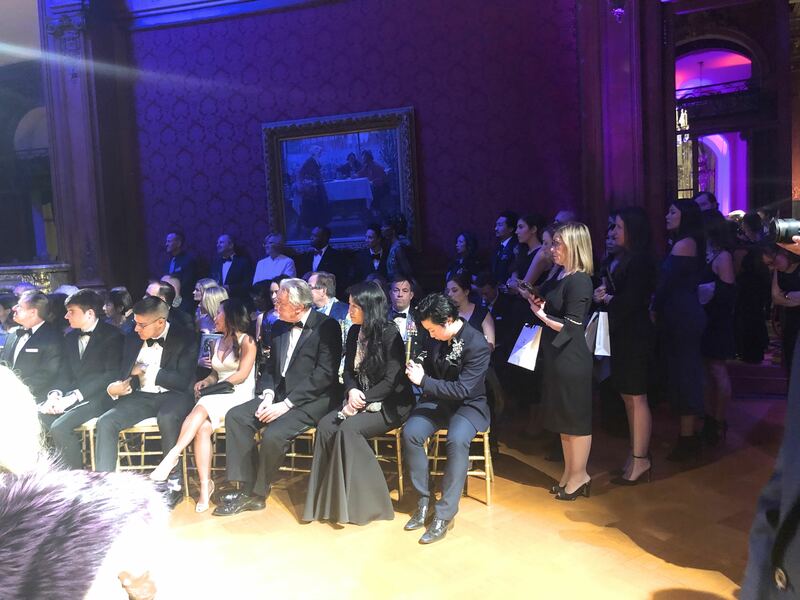 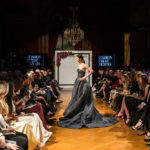 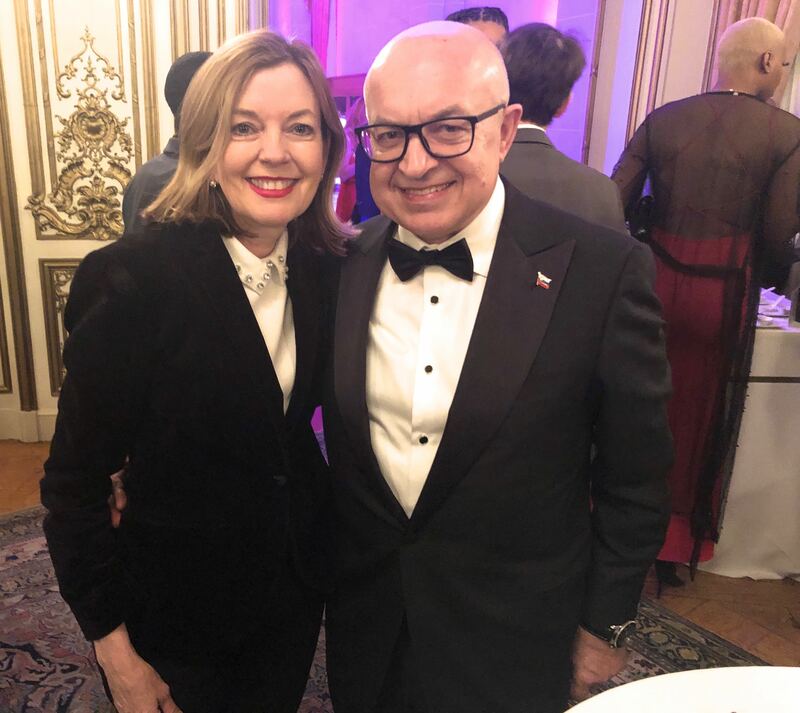 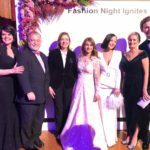 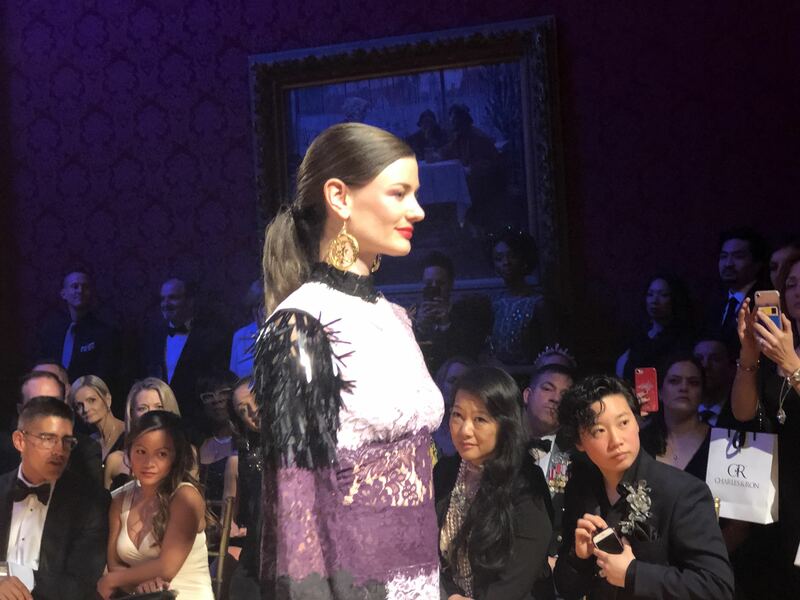 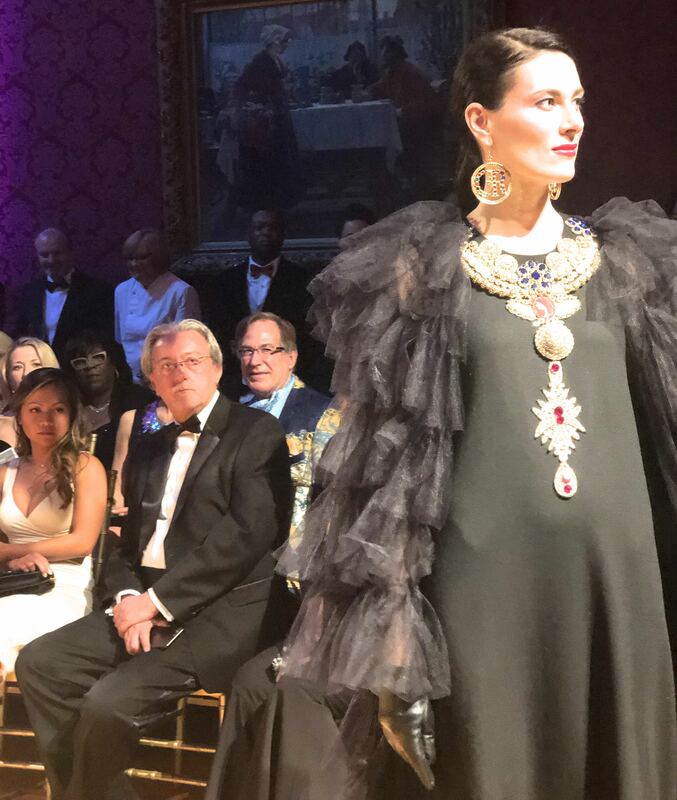 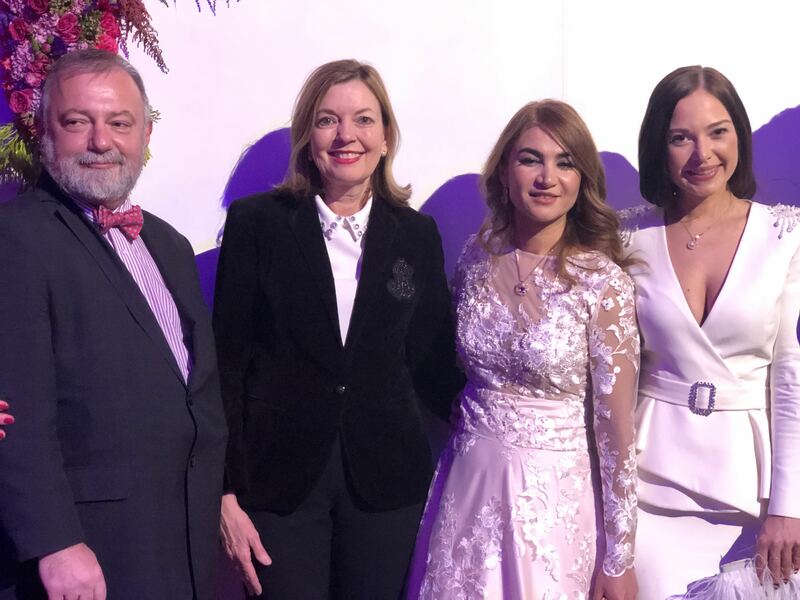 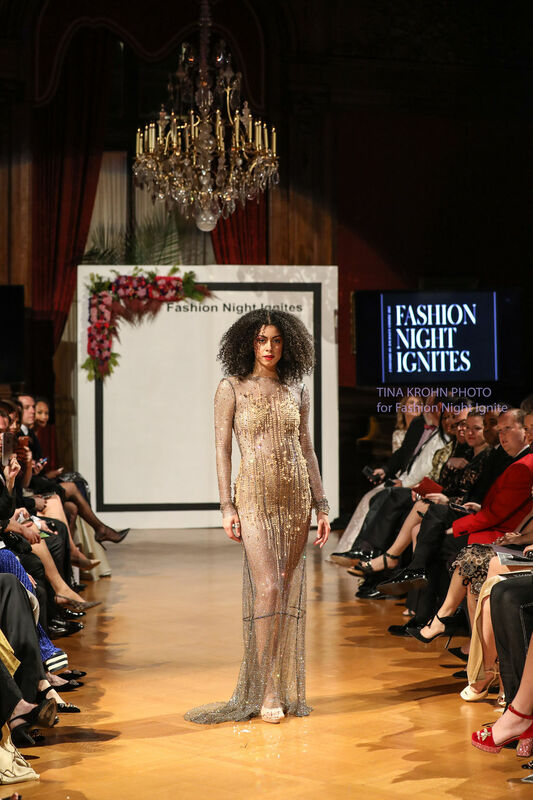 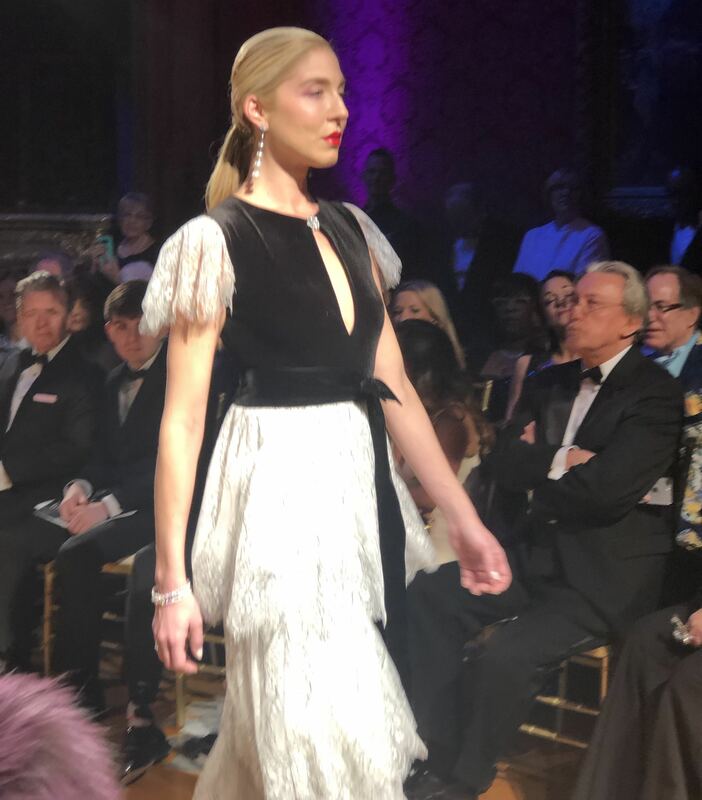 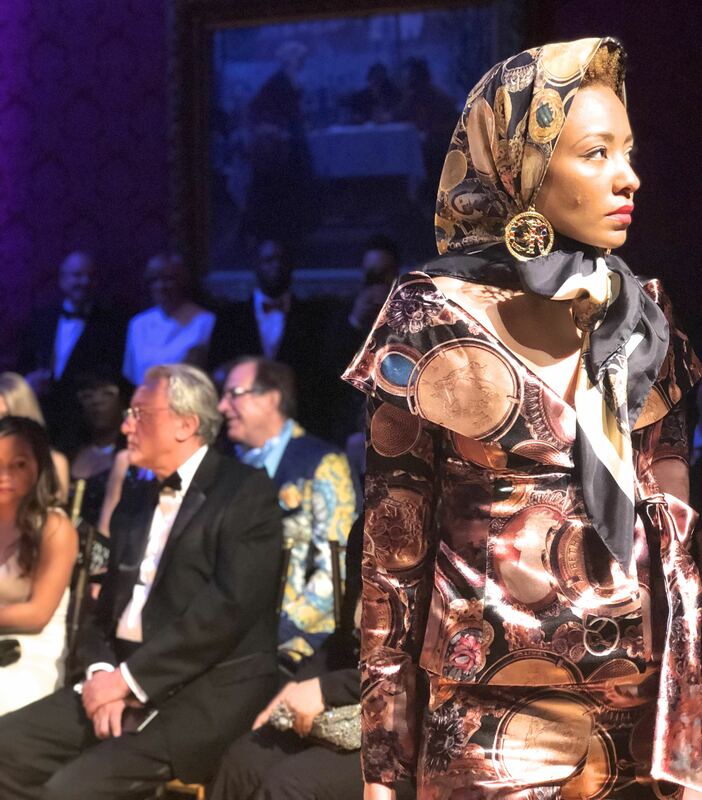 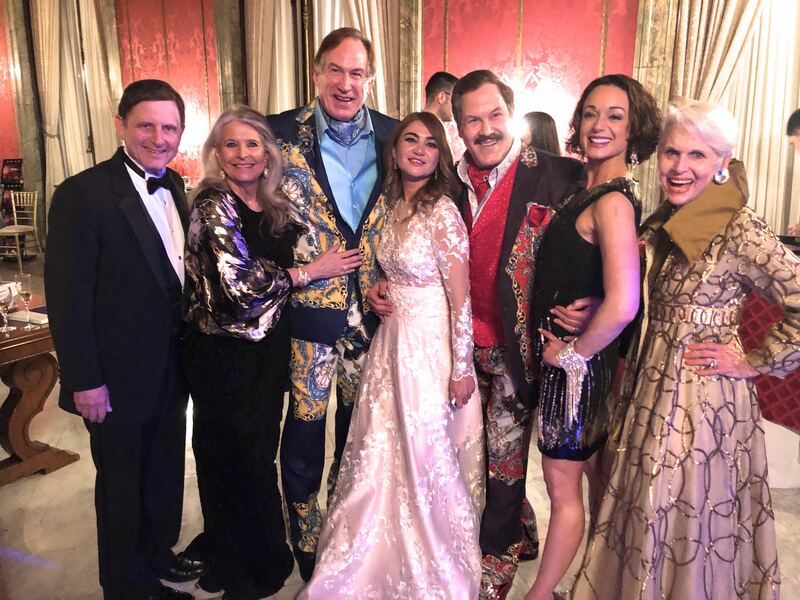 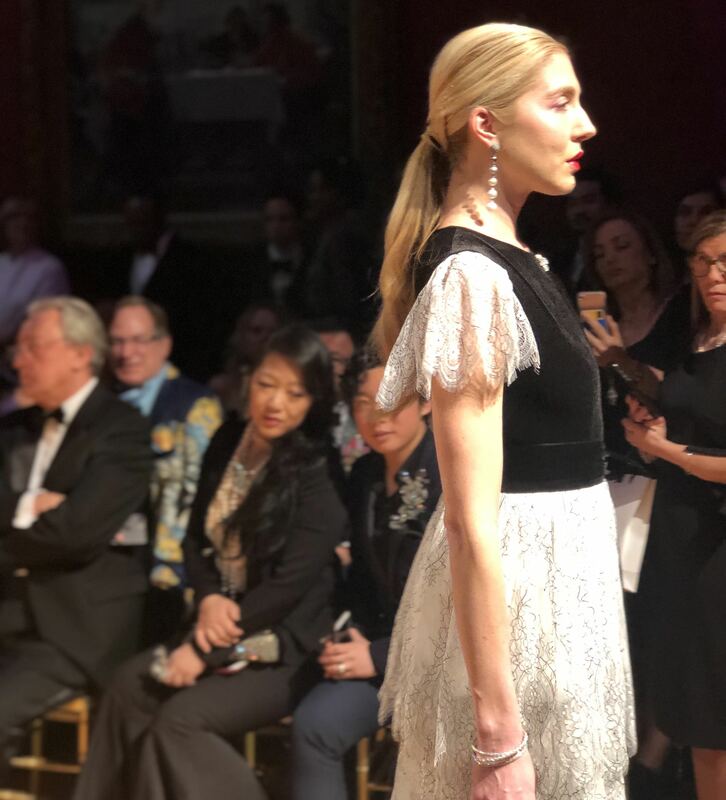 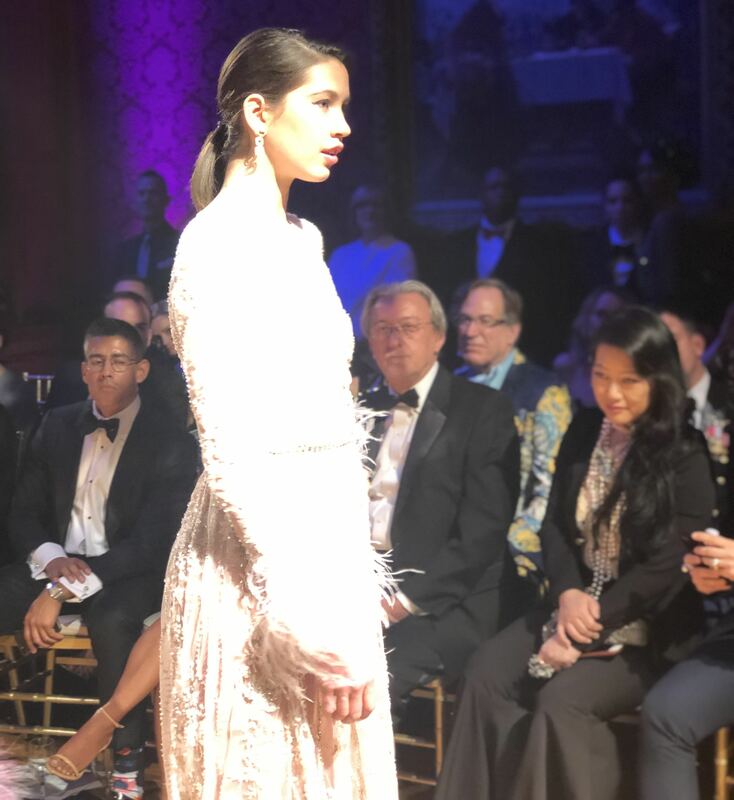 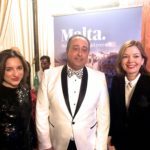 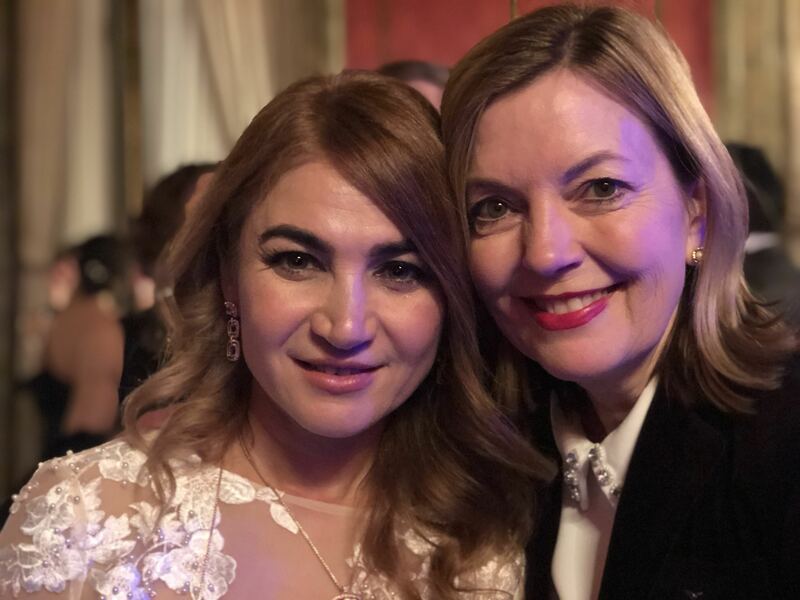 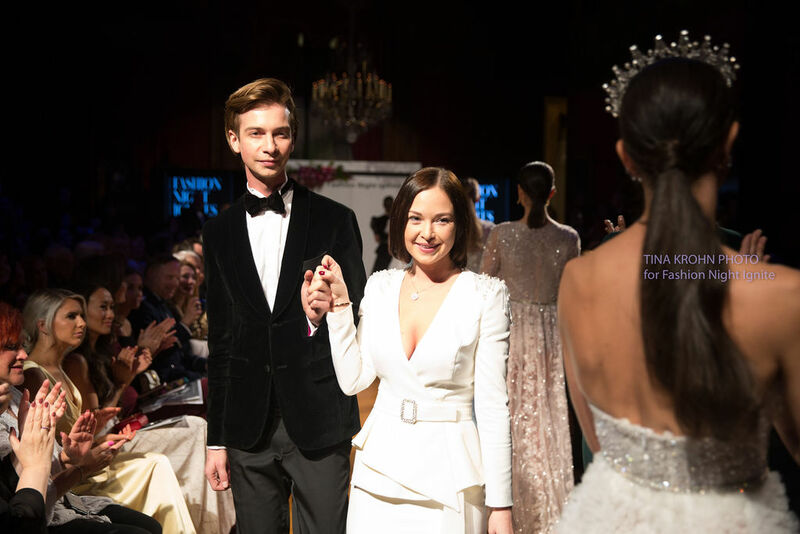 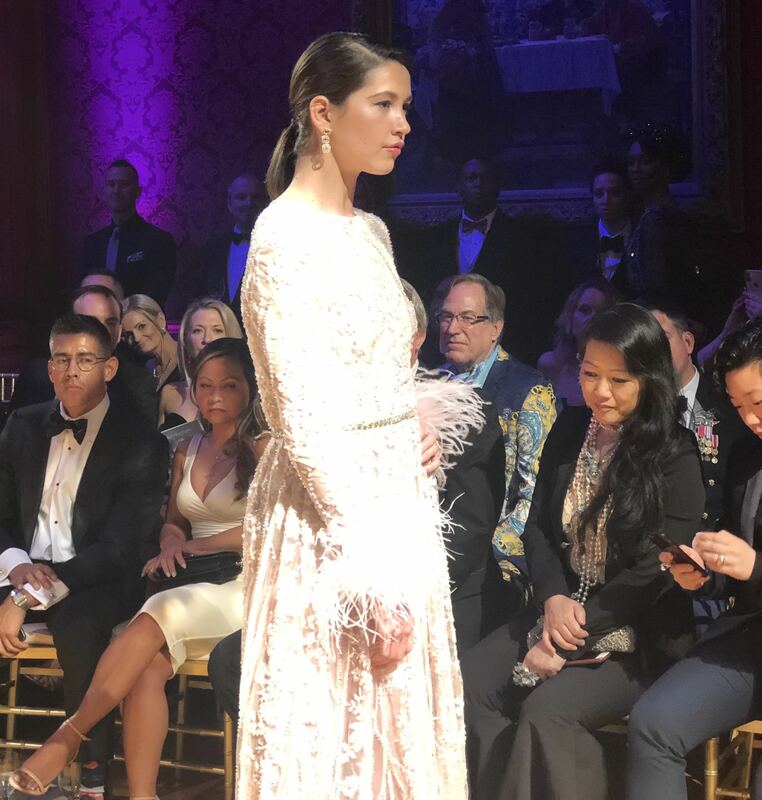 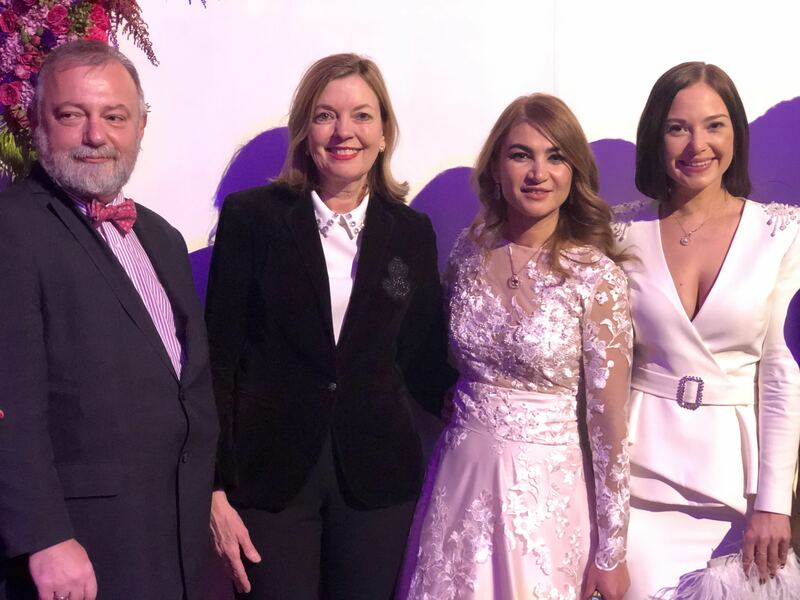 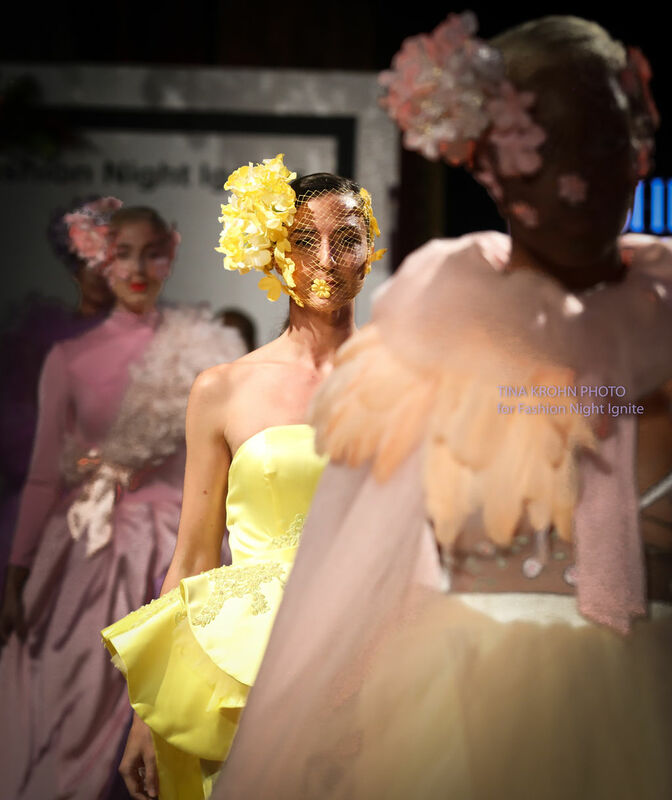 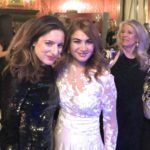 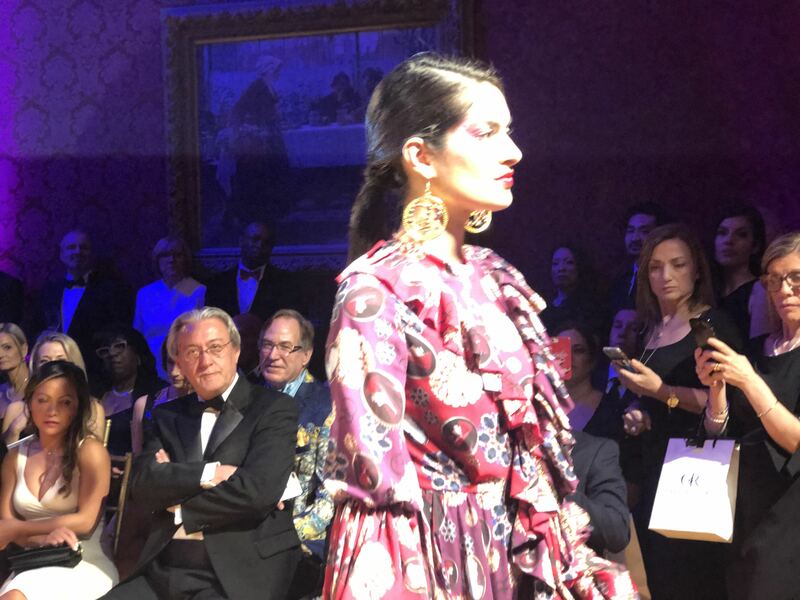 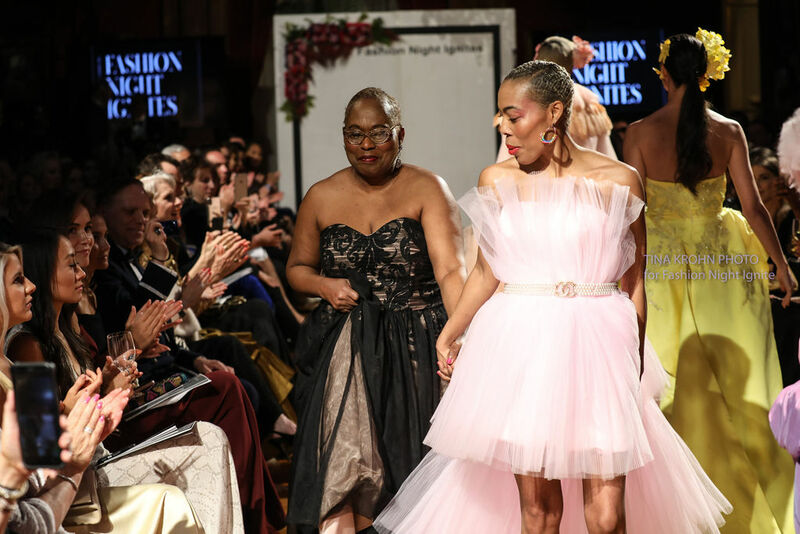 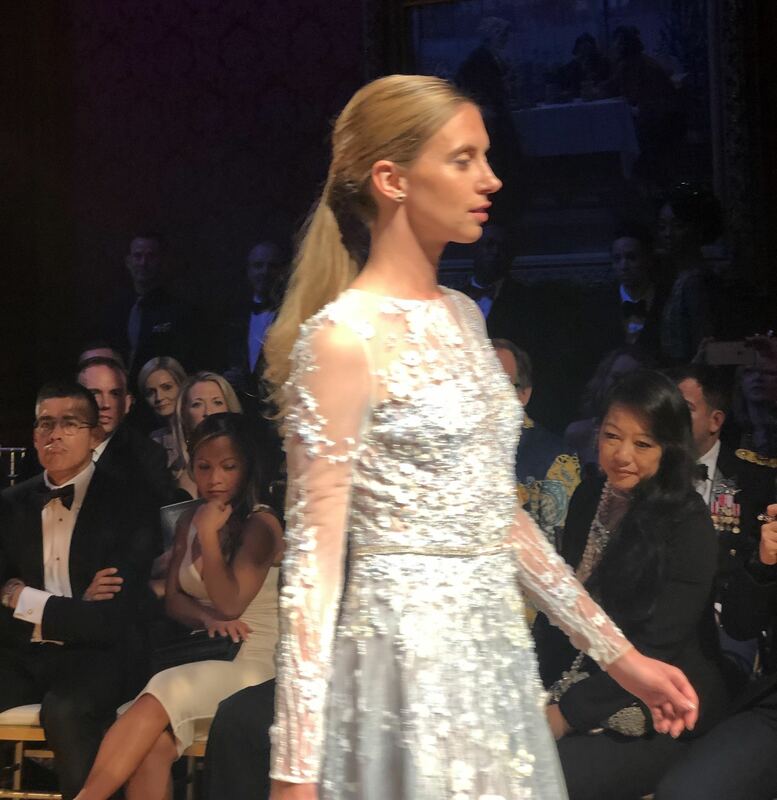 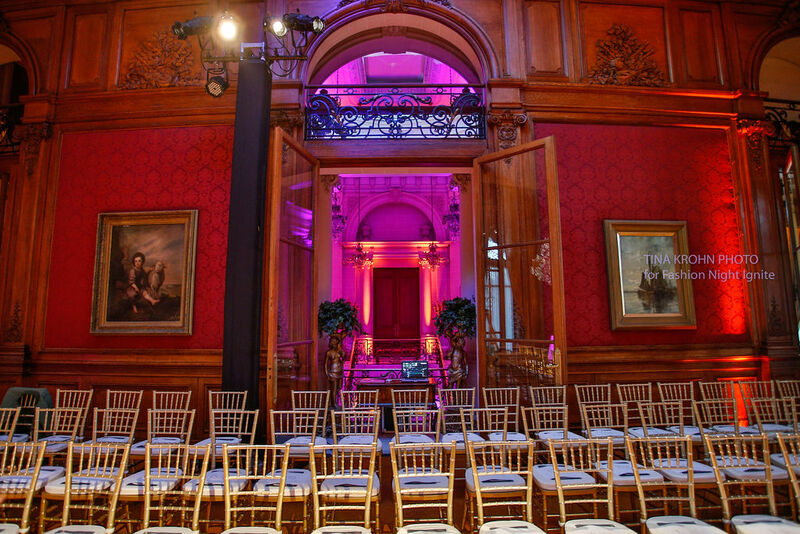 The Embassies of the Czech Republic, Malta and Slovenia presented Fashion Night Ignites, an evening runway show featuring Burnett New York, Charles & Ron, Dur Doux, Maja Stamol and Poner at the historic Perry Belmont House. 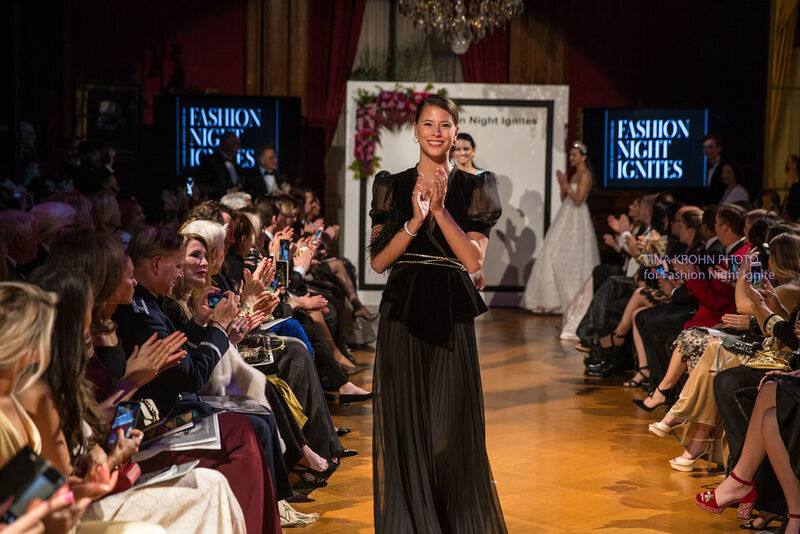 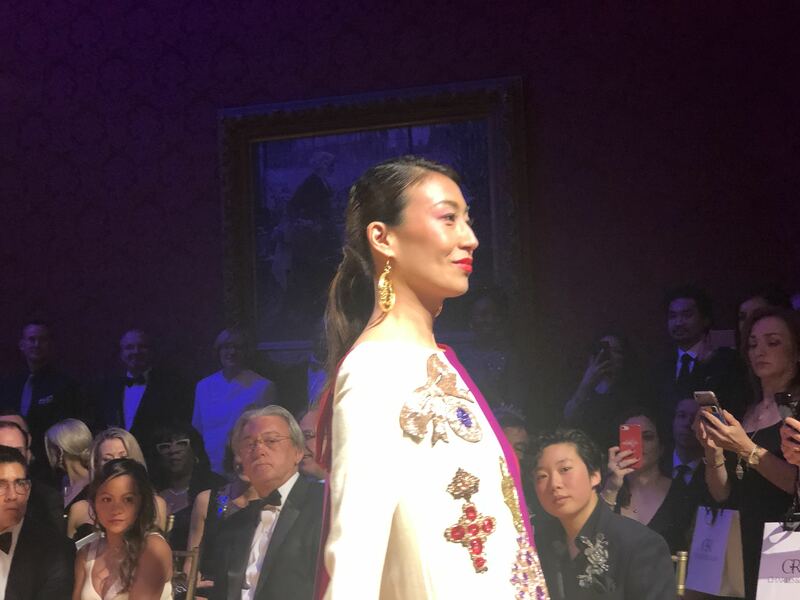 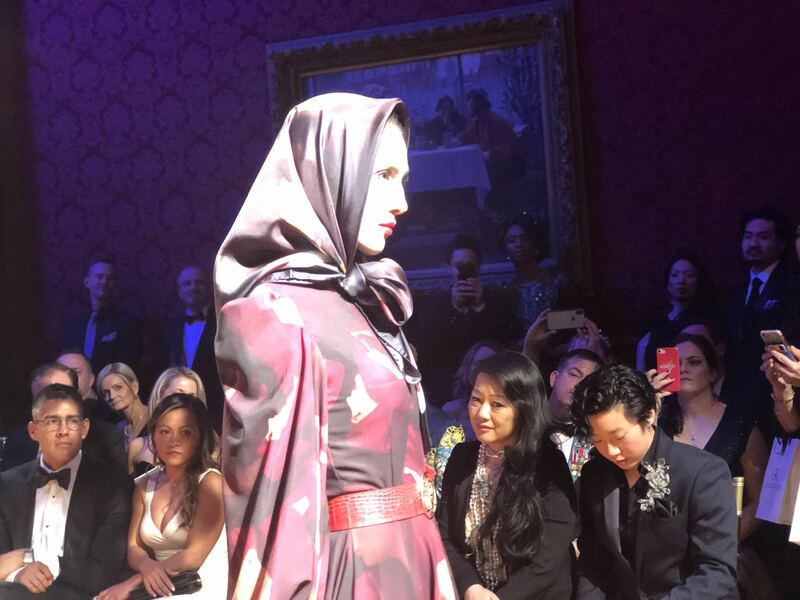 The post-fashion celebration highlighted each of the countries’ cultures, cocktails, and cuisine via “A Night in Prague, Ljubljana, and Valletta” with music curated by Madonna’s favorite DJ Enferno. 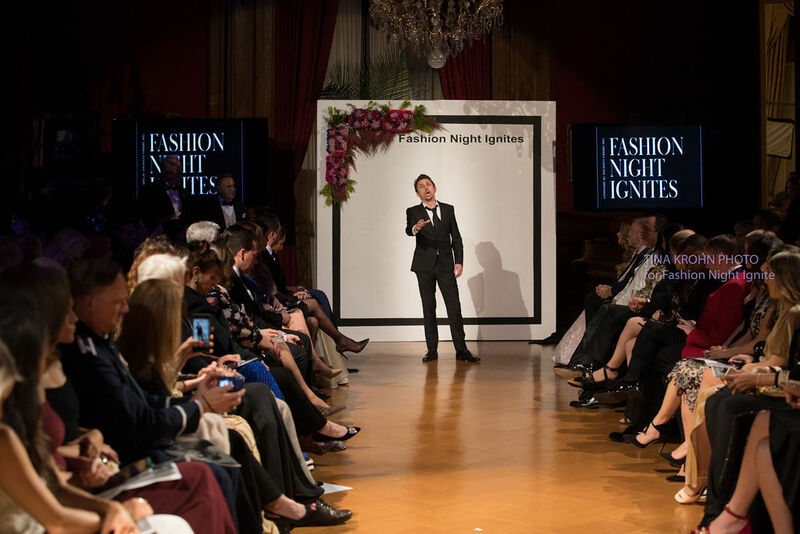 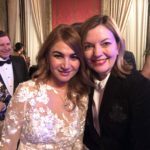 The event brought together over 250 guests from the global diplomatic and political communities with international fashion influencers. 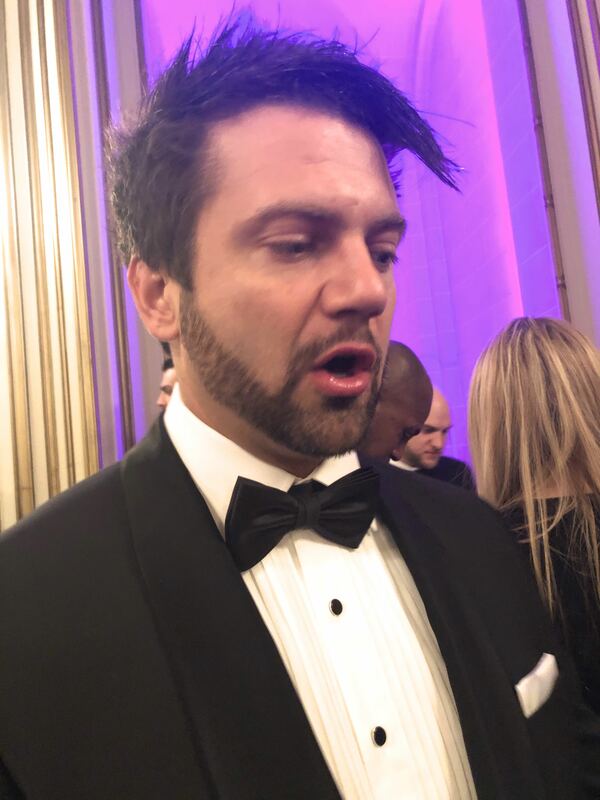 At the after party Hollywood on the Potomac chatted with Matis Viseck who comes from Slovenia and came to Washington to make a presentation of a specialty wine. 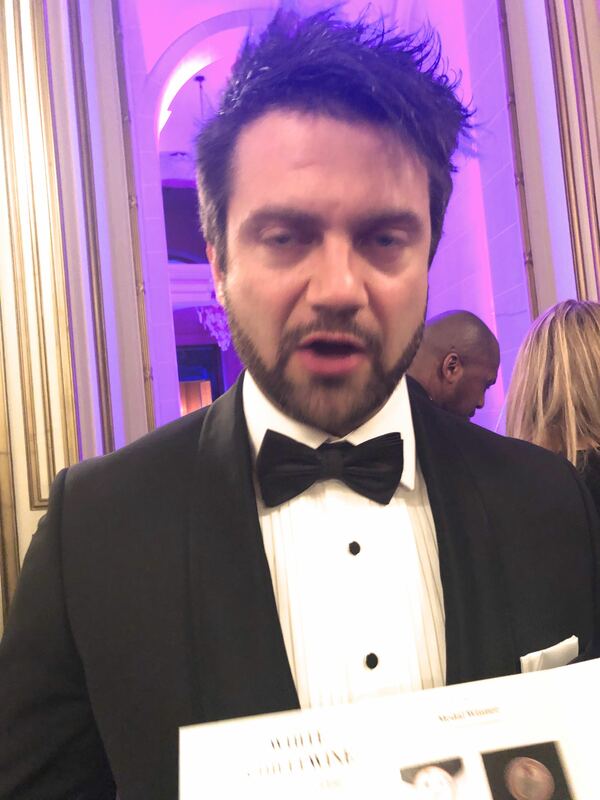 “This is a very special and unique kind of wine. 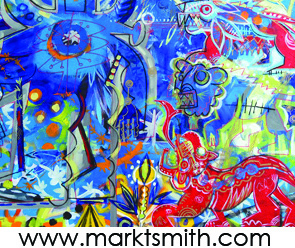 We started four years ago making it and we have two versions, two versions of that wine for now. 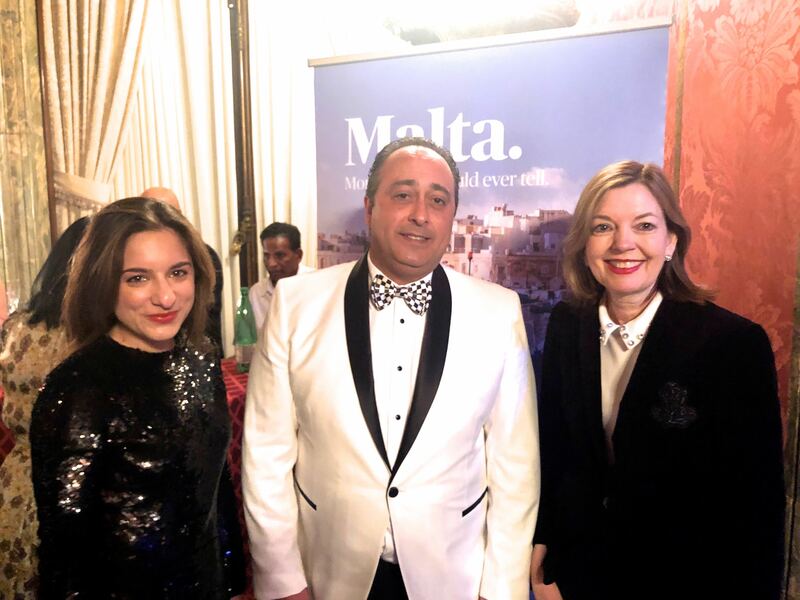 The white one is made out of Sauvignon and the other yellow muscato. 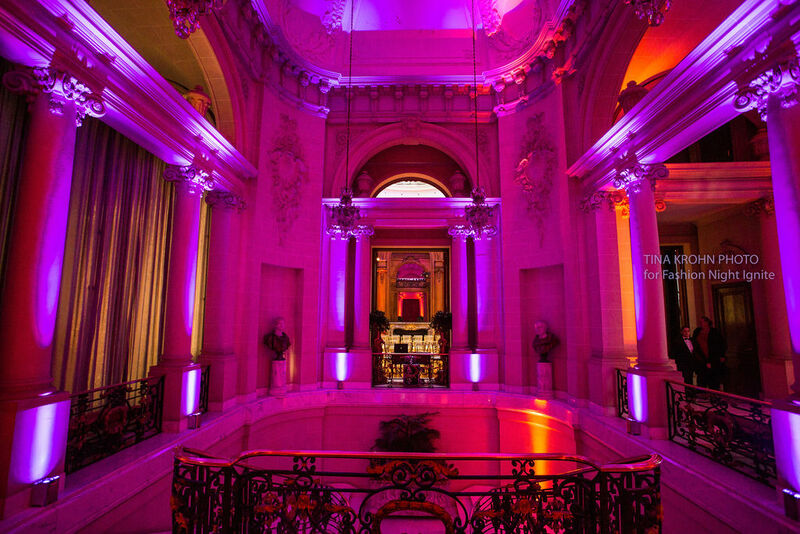 The specialty of the wine is because we put a slightly touch of cherry in it. 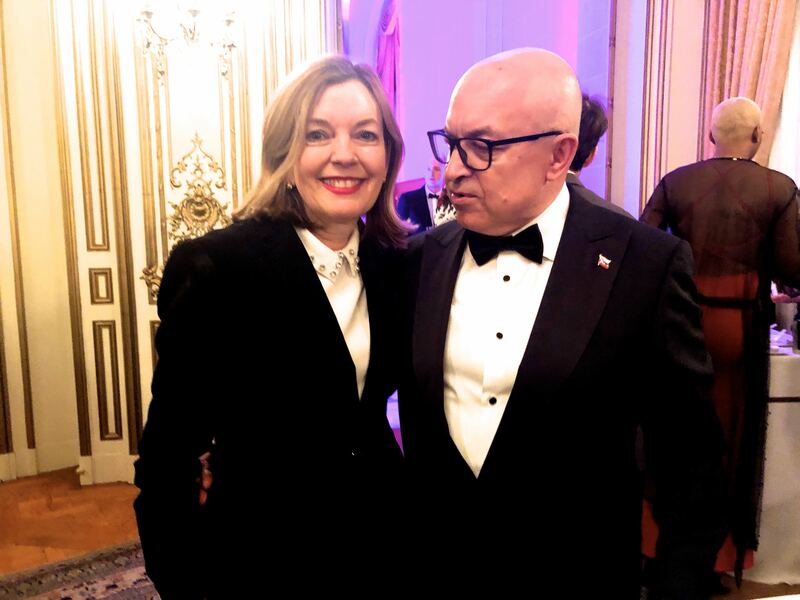 And it is the first and only cherry wine in the world. 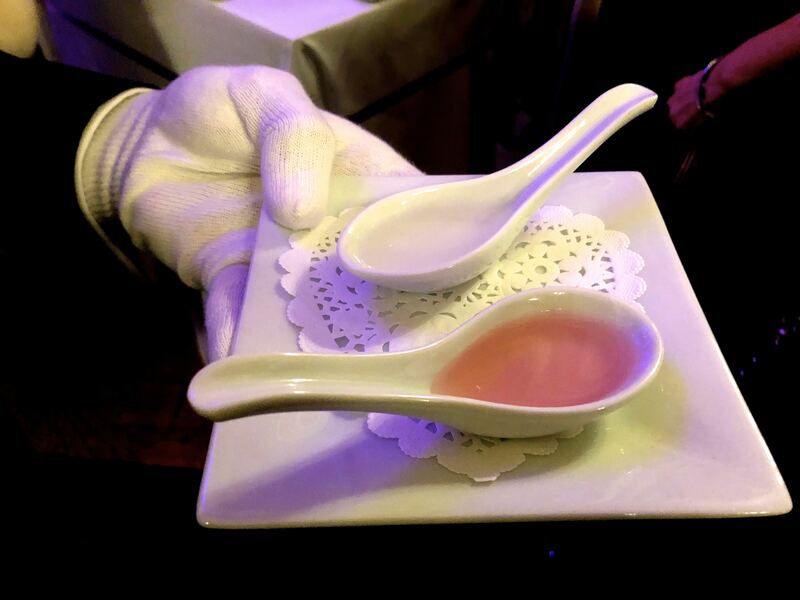 We also got last year a gold and two silver medals in Finger Lakes and in great American wine competition. 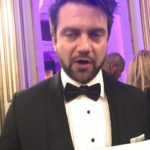 So it’s not only some fancy wine but it’s also really great quality.” We believe him! 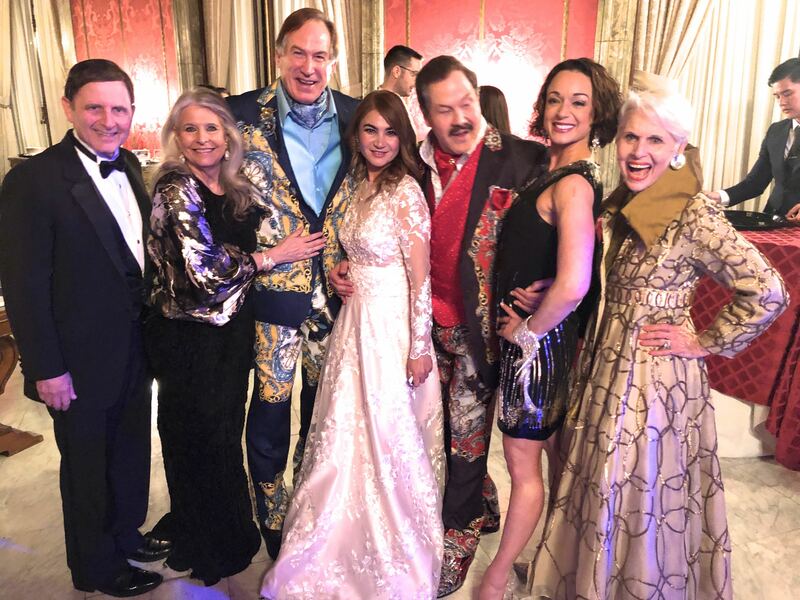 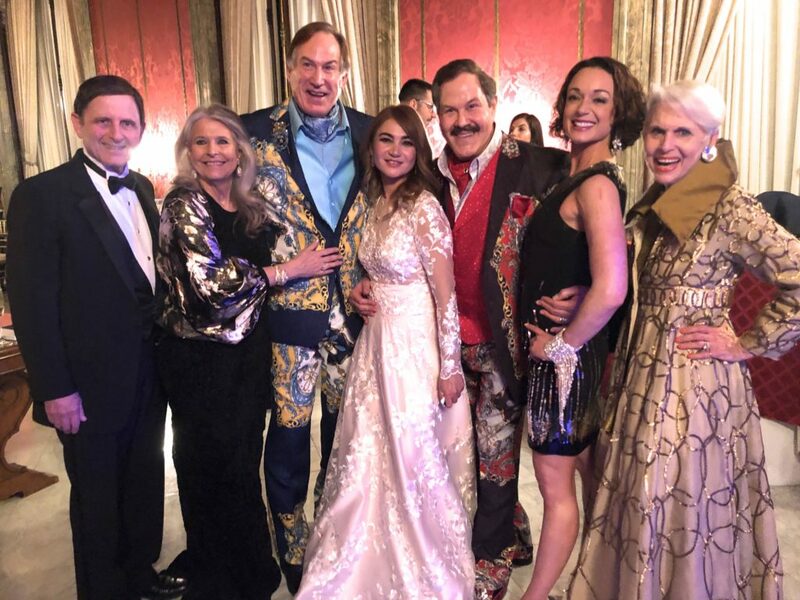 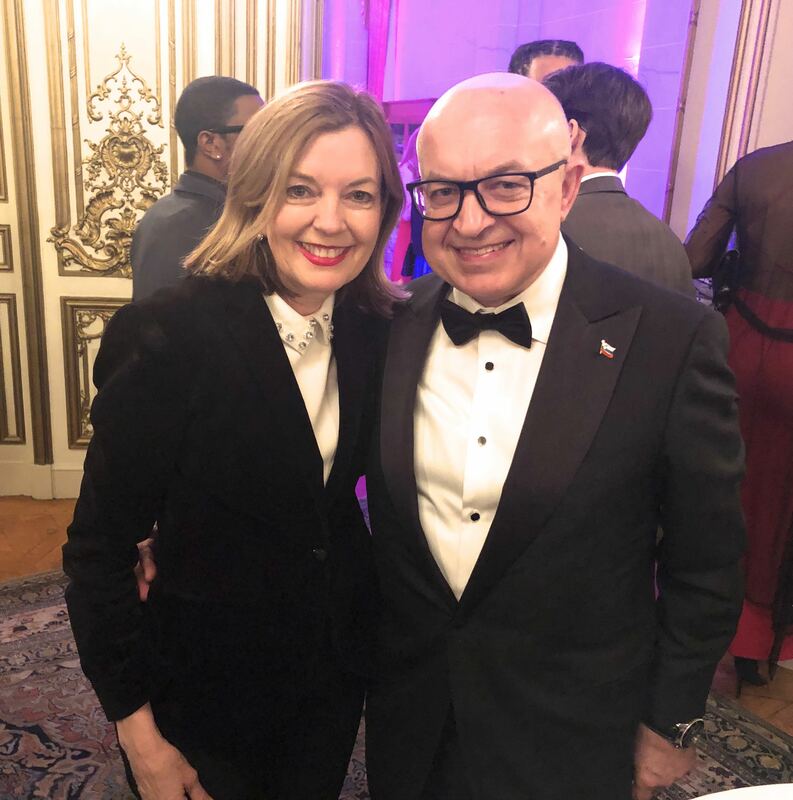 Guests hobnobbed in their Louboutins and outrageous jackets as they roamed from room to room trying out the various cuisines and mingling with the Ambassadors. 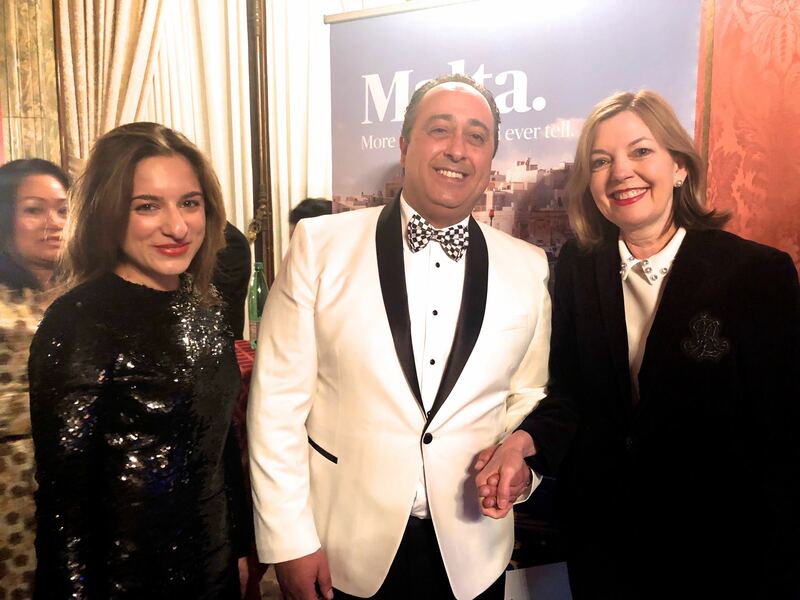 And thank you Imperia Caviar! 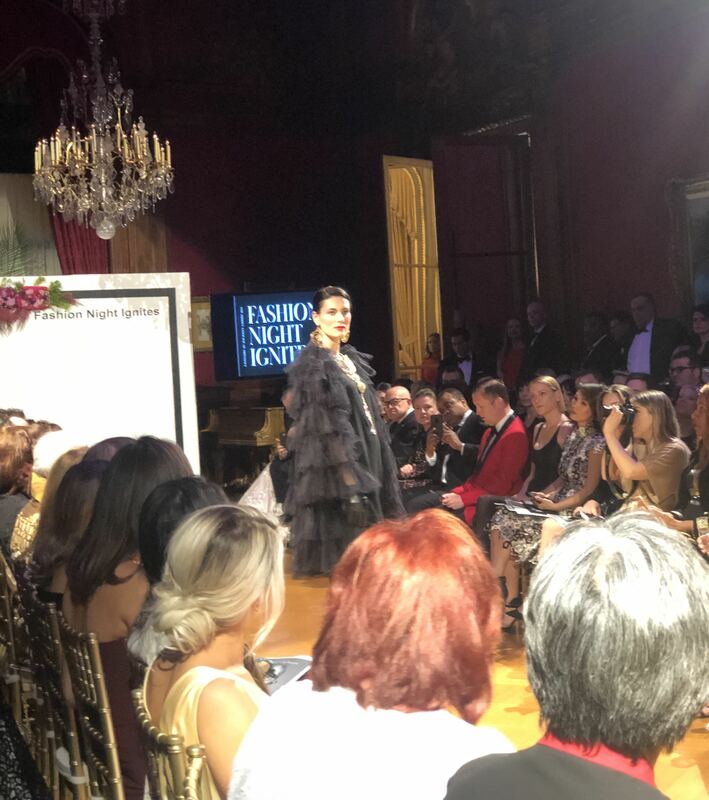 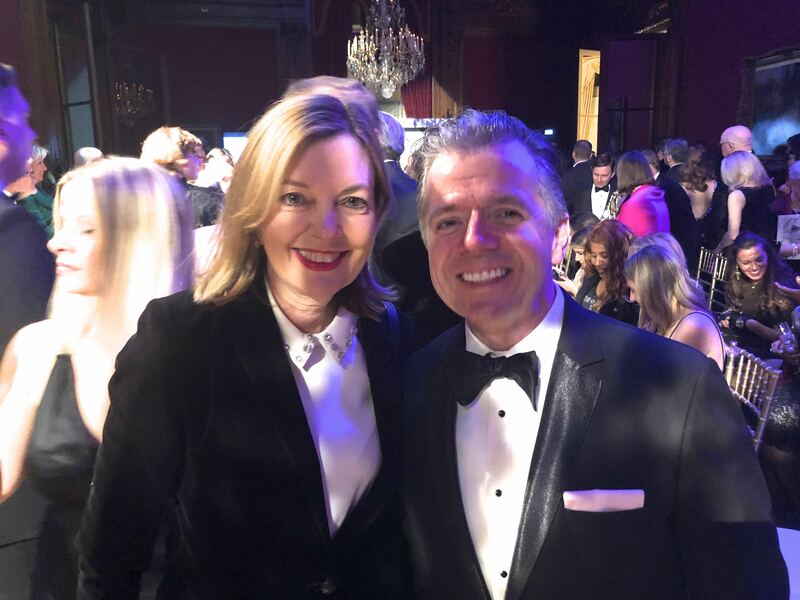 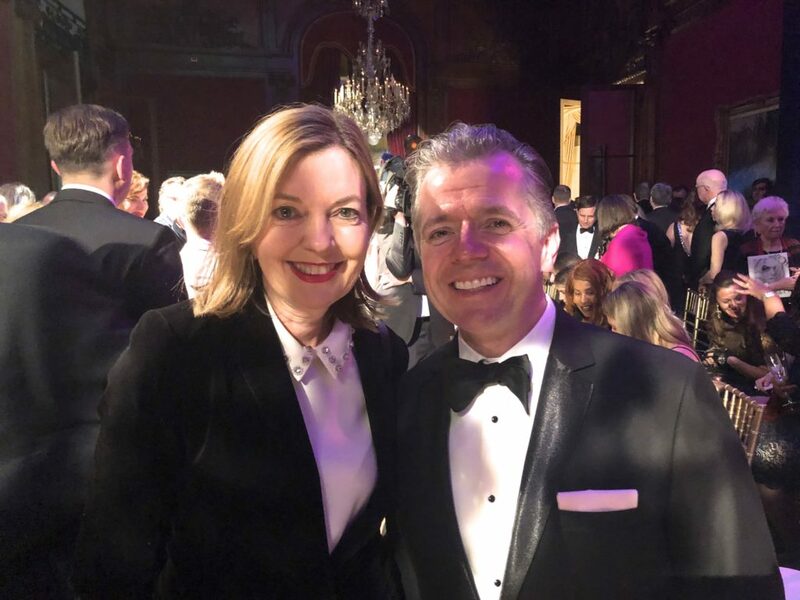 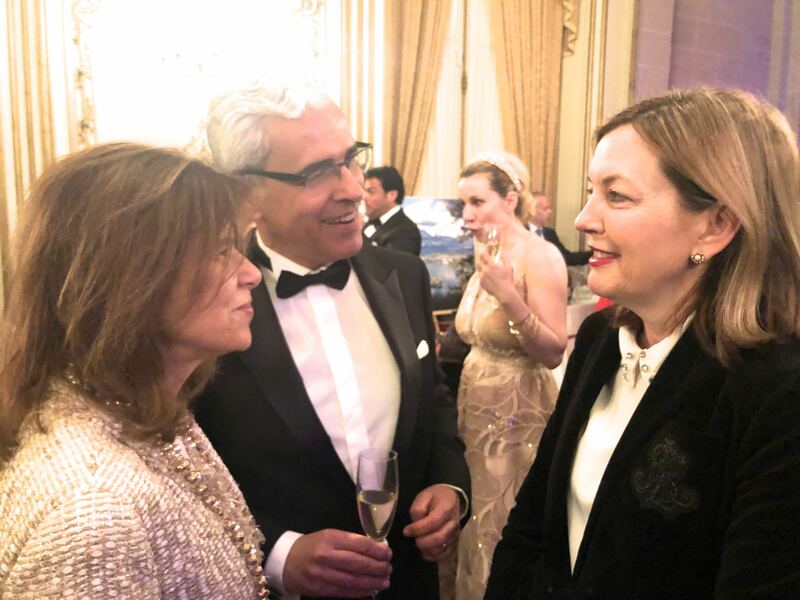 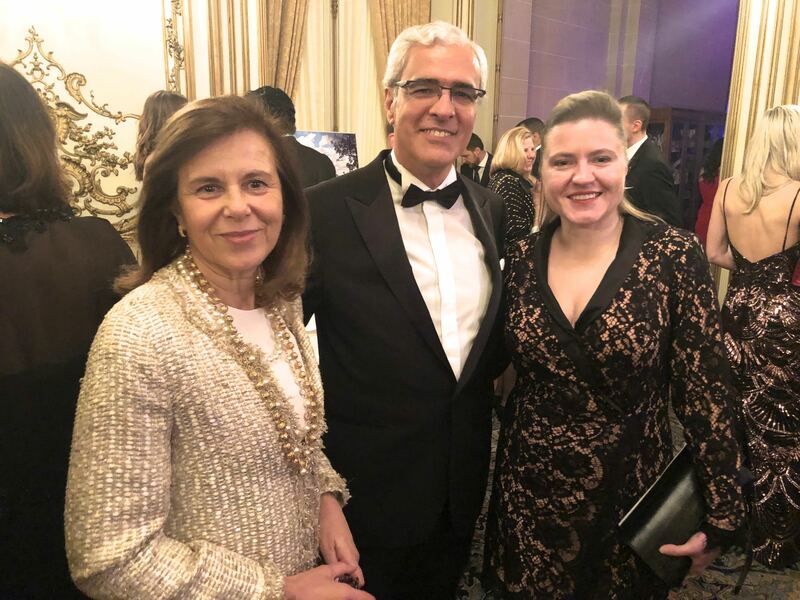 The event raised awareness for the National Register of Historic Places, a nonprofit close to the heart of former First Lady and style maven Jacqueline Kennedy Onassis and the Perry Belmont House Foundation. 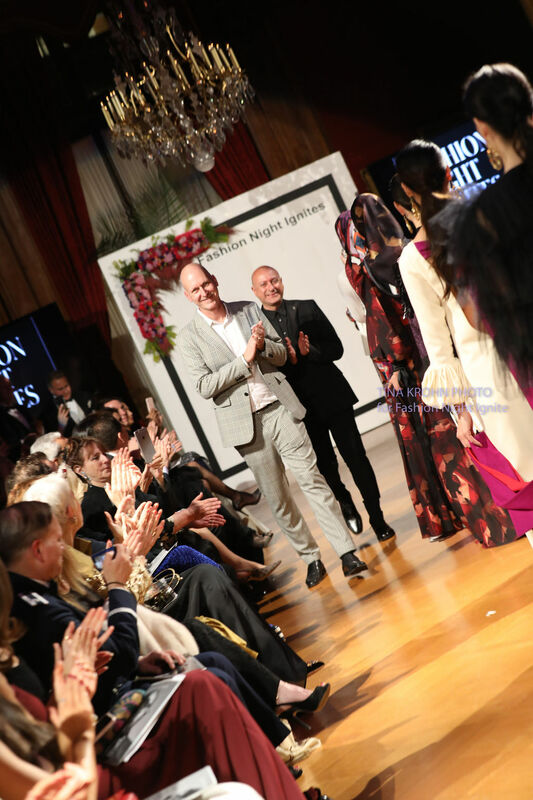 The event was produced in partnership with Adore Fleurs, Bell Helicopter Textron Inc, David Yurman, Imperia Caviar, Kimpton Carlyle Hotel DuPont Circle, Lamborghini, Party Rentals LLC, Summit Event Production, Type A, SweatNGlow, Uber as well as the Embassy of the Czech Republic, Embassy of Malta, and Embassy of Slovenia. 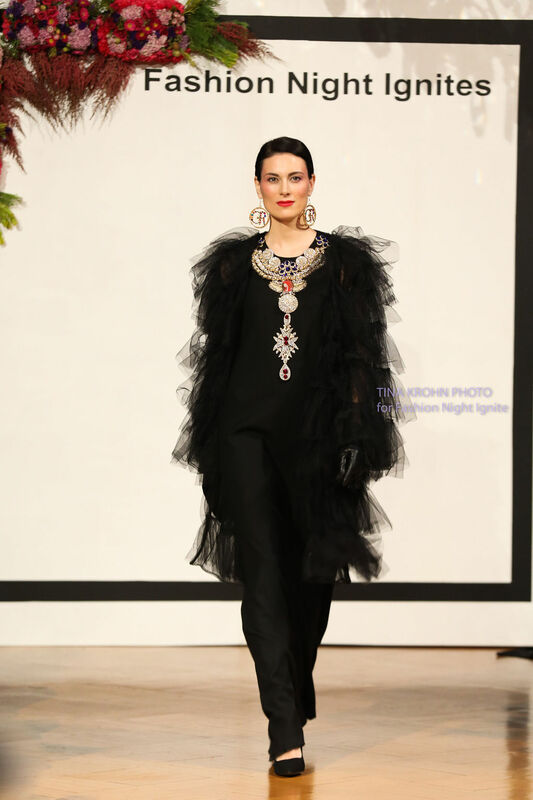 Backstage support in partnership with Green & Blue Studio, Jerome Obry and Trish McEvoy. 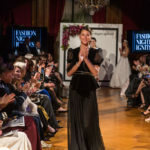 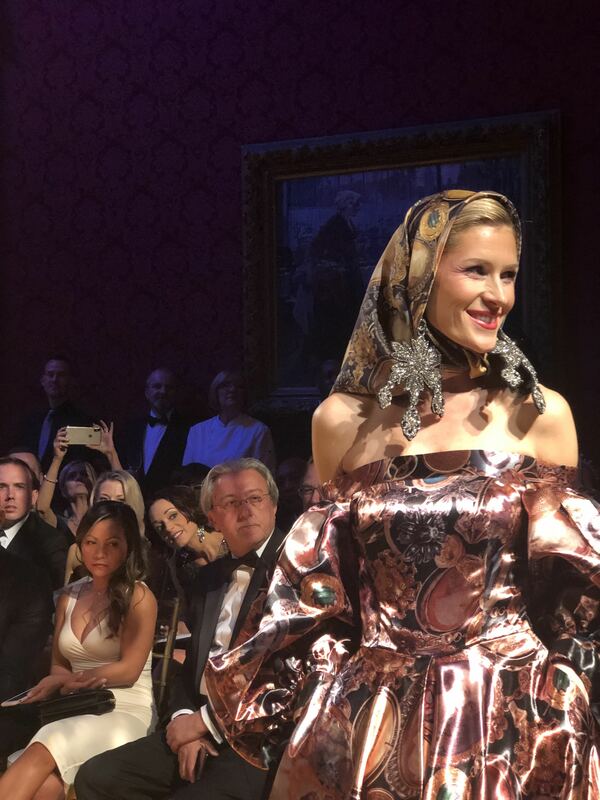 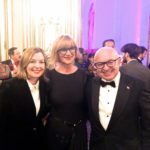 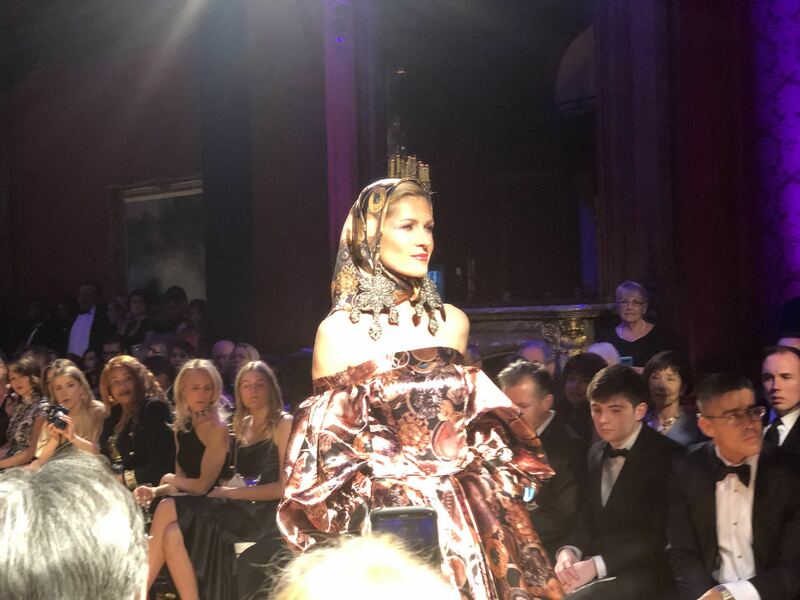 The post-fashion celebration highlighted each of the countries’ cultures, cocktails, and cuisine via “A Night in Prague, Ljubljana, and Valletta” with music curated by Madonna’s favorite DJ Enferno. 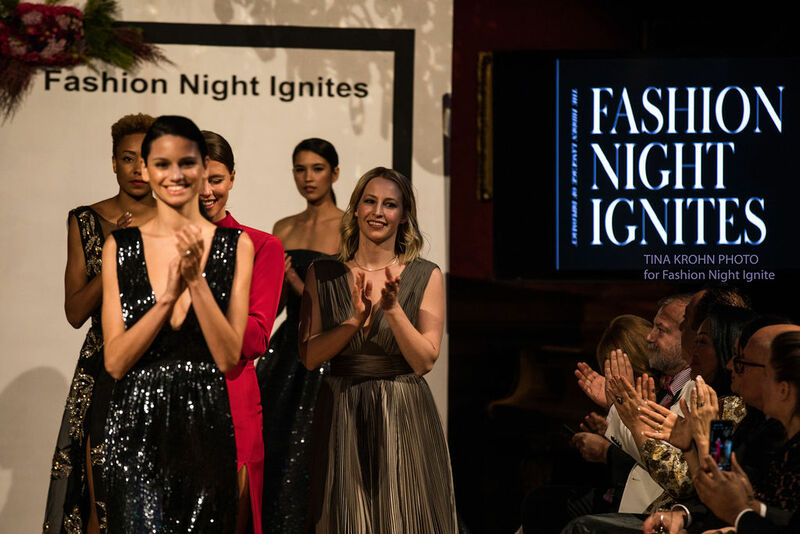 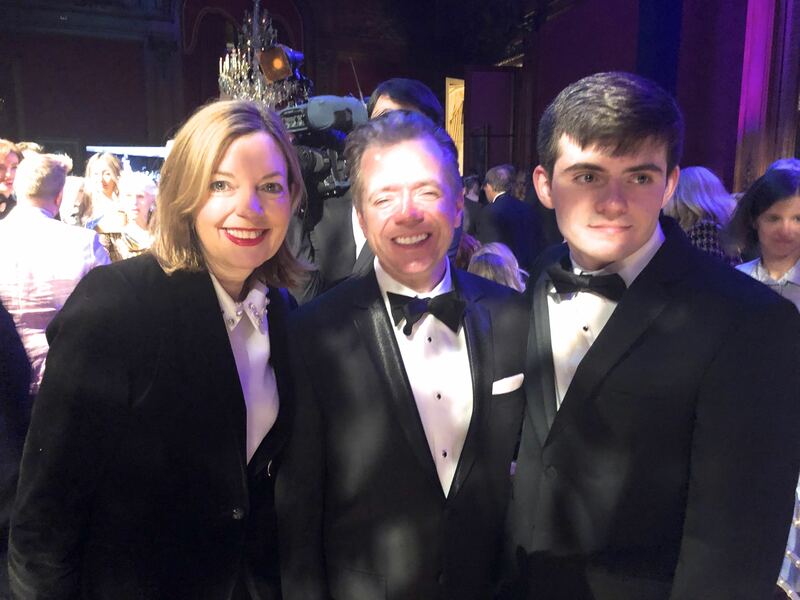 The event raised awareness for the National Register of Historic Places, a nonprofit close to the heart of former First Lady and style maven Jacqueline Kennedy Onassis and the Perry Belmont House Foundation. 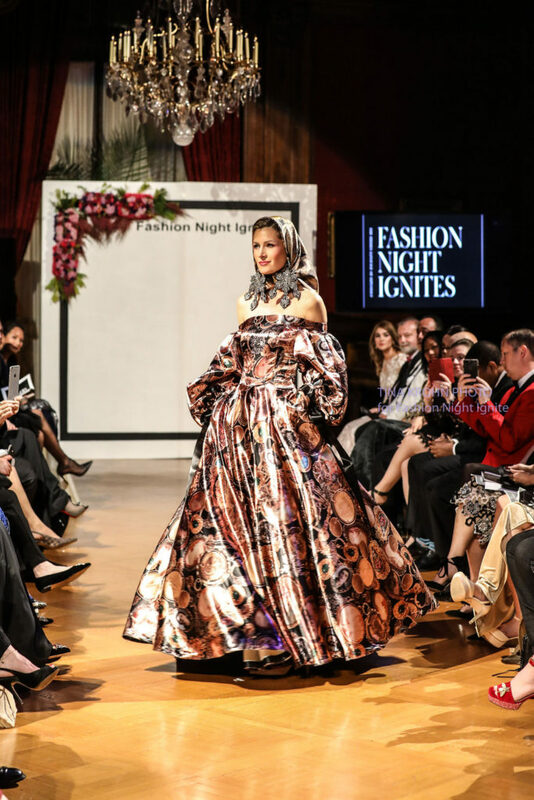 Diplomacy & Fashion is a celebration of global nations and cultures, bringing together diplomacy, fashion, and philanthropy. 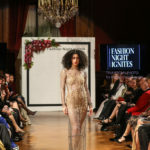 The mission is to promote up-and-coming designers from different countries around the world. 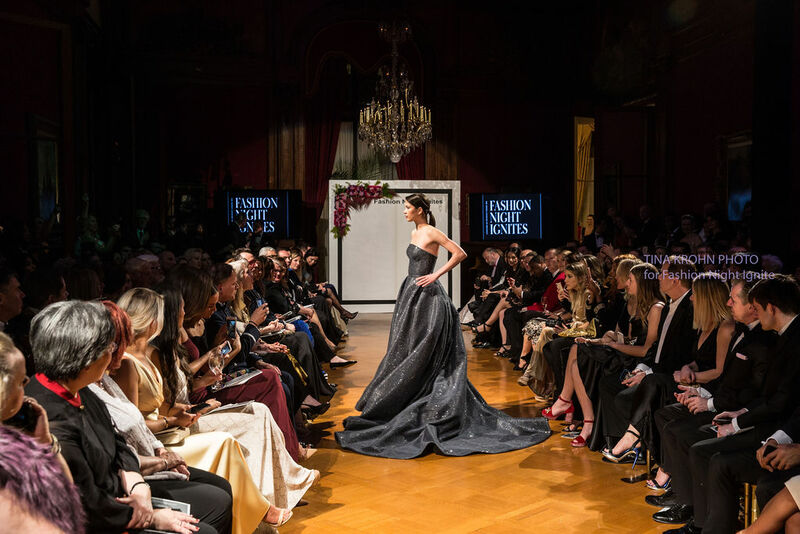 Diplomacy & Fashion envisions the creation of an exclusive network with an emphasis on fashion and the future of the industry in the center of the world’s diplomacy. 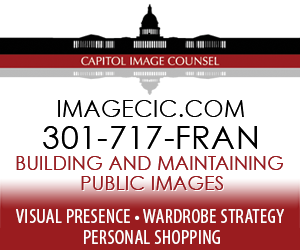 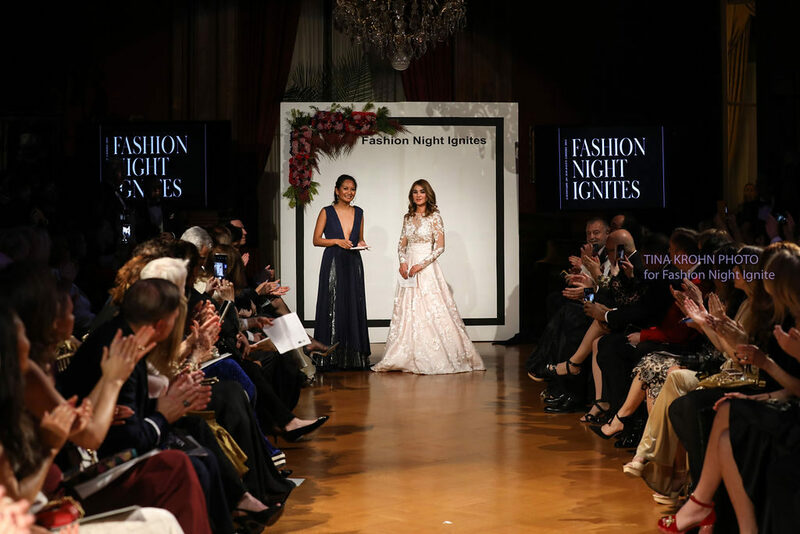 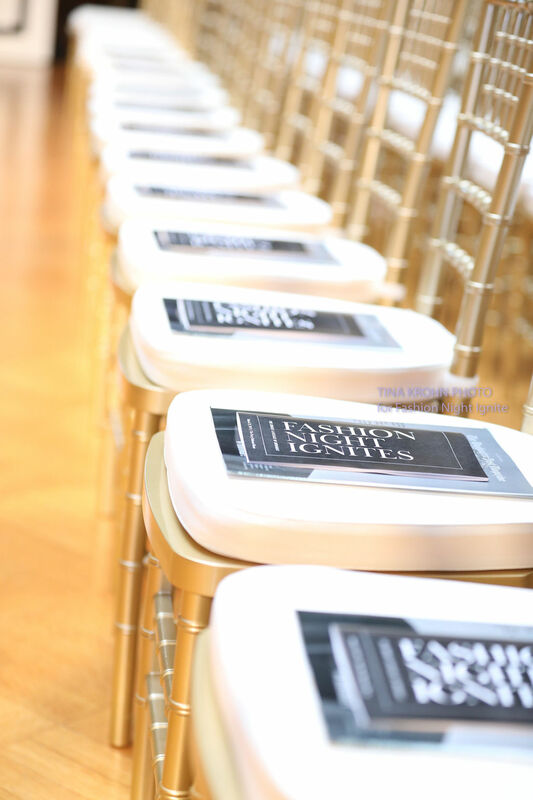 Fashion Night Ignites launches fashion to the forefront of diplomacy in Washington, DC.